CooperVision, one of the world’s leading manufacturers of soft contact lenses, today announced the availability of MiSight® 1 day contact lens in Singapore. The world’s first soft daily disposable contact lens proven to significantly slow the progression of myopia1, or nearsightedness, in children, MiSight® 1 day is suitable for children as young as eight years of age, right at the onset of myopia. The prevalence of myopia is projected to increase from approximately two billion people worldwide in 2010 to almost five billion people in 20502, bringing with it near- and long-term health challenges. Not only does it create blurred vision, but also increases the likelihood of conditions later in life such as glaucoma, cataract, retinal detachment and myopic maculopathy if not addressed. 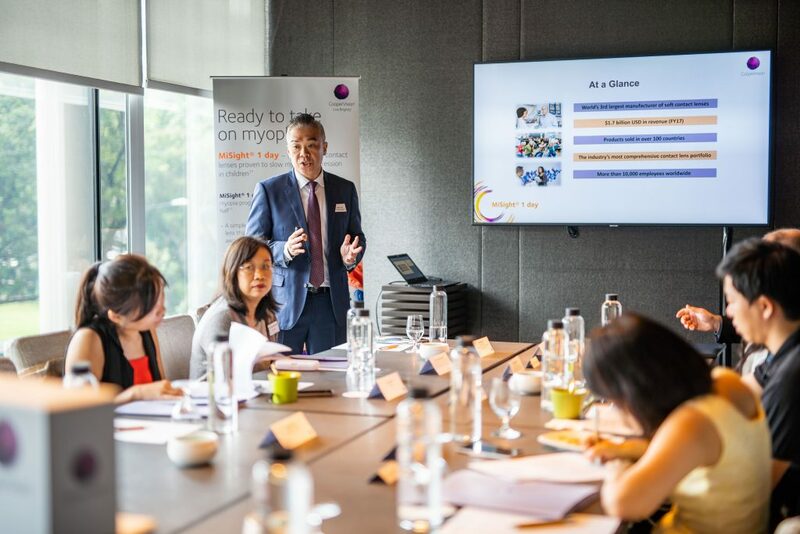 “Myopia is predicted to reach epidemic proportions, and now affects the vast majority of young adults in Southeast Asia, including Singapore,” said Dennis Yum, General Manager, Singapore, Indonesia & the Philippines, CooperVision Singapore. 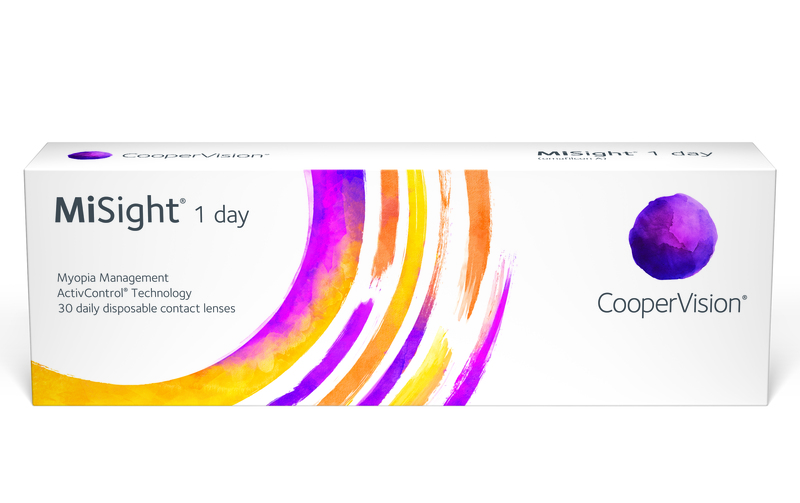 MiSight® 1 day is a soft and simple-to-wear daily disposable contact lens, created using ActivControl® Technology. A dual-focused contact lens, MiSight® 1 day has alternating visual correction and treatment zones. Two treatment zones create myopic defocus, in which the image focus is in front of the retina to slow down the eyeball growth, rather than behind it. The contact lens also contains two correction zones that helps correct myopia in all gaze positions. This allows children to see clearly while slowing their myopia progression and eyeball growth. The impact of soft contact lens on reducing the progression of myopia is backed by multi-year study data. Three-year findings from a study of MiSight® 1 day in children, revealed that the dual-focus soft daily contact lens achieved significantly greater slowing of myopia progression, compared with the standard single-vision 1-day lens. Over the three-year period, children wearing MiSight® 1 day had 59 percent less myopia progression and 52 percent less axial elongation (elongation of the eyeball) than those wearing a single-vision 1-day lens. The study enrolled 144 myopic children aged 8 to 12 years in Singapore, Canada, England, and Portugal. In year four, the ongoing clinical trial switched the original group of children who wore a single-vision 1 day contact lens to the MiSight® 1 day lens, and continued to track them separately. The newly available four-year data indicated that MiSight® 1 day is also effective when beginning myopia management at an older age. No significant differences were observed in myopia progression and axial elongation rates between both groups. However, there was a significant reduction in myopic progression for the previous single-vision 1-day lens wearers. 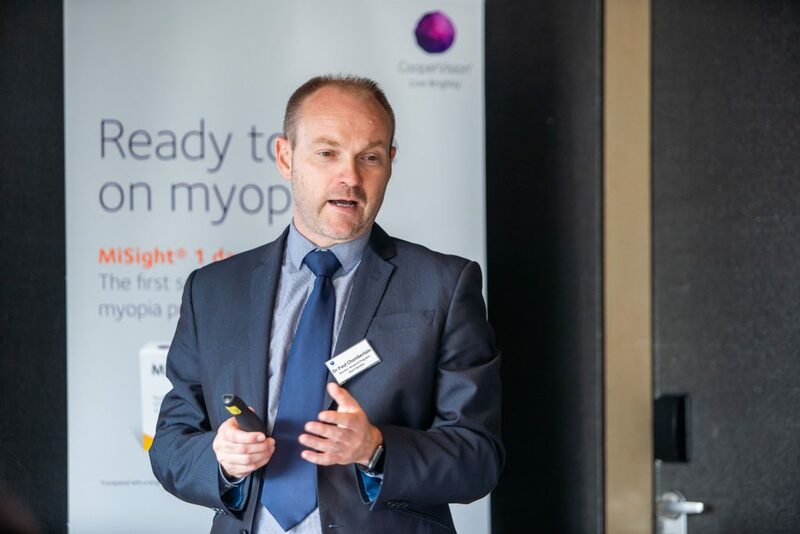 “The four-year findings are a great learning for CooperVision and the entire optical industry on the capability to slow the progression of myopia in children. The study also continued to show positive results from children who have been wearing MiSight® 1 day for the entire study – their axial length progression in this last year has slowed further. 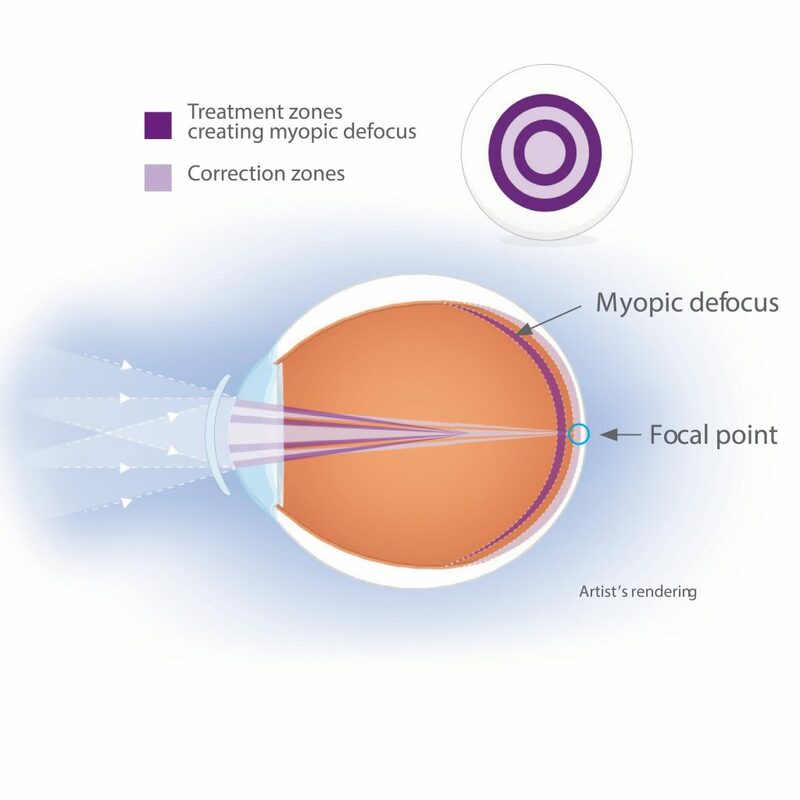 This illustrates the benefits of beginning myopia management as early as possible to maximize the benefit,” said Paul Chamberlain, Director of Research Programs for CooperVision. “Parents and children are strongly encouraged to adopt preventive measures early to avoid vision impairment later in life. This includes approaches to prevent or delay the onset of myopia among children, by increased outdoor time, while slowing progression to high myopia in children. The latest results from the MiSight® study offered supporting evidence that soft disposable contact lenses may retard the progression of myopia, and may be considered as a new treatment option for slowing myopia progression in children. Parents are encouraged to discuss the various treatment options with the eyecare professionals to achieve the best results for the child,” said Professor Saw Seang Mei, Head, Myopia Unit, Singapore Eye Research Institute and Professor of Epidemiology at the Saw Swee Hock School of Public Health, National University of Singapore. MiSight® 1 day is designed to offer ease of use to children and peace of mind for parents. In the three-year study, 90 percent of children could insert and remove MiSight® 1 day contact lenses on their own3. In addition, 9 out of 10 children also said they preferred wearing MiSight® 1 day contact lenses over wearing their spectacles. Parents in the same study also had a highly positive response, noting their children could mostly manage their lens wear independently. After their children had worn MiSight® 1 day contact lenses for three years, 100 percent of parents rated their children “happy” with the overall experience of wearing contact lenses, including comfort, vision, ease of use, and freedom from spectacles4. “A key factor in determining if your child is ready to put on contact lenses is to ensure that they are demonstrating good personal grooming habits. They should also show responsibility to a routine and is able to clearly voice out any issues they encounter. Eyecare professionals and parents should work closely together to provide initial guidance to children who are being fitted with contact lenses. If they are aware of how to care for their eyes and contact lenses properly, children can wear contact lenses safely to manage myopia,” said Dr Cheryl Ngo, Head and Consultant, Paediatric Ophthalmology and Strabismus, Eye Surgery Centre, National University Hospital. MiSight® 1 day is now available at major optical stores and eye clinics at S$75 per box (30 daily disposable contact lenses). For more information, please contact a qualified eyecare professional.